With the vast amount of dash cams available for purchase today, it takes more than just an enticing price tag for a company to make theirs stand out. 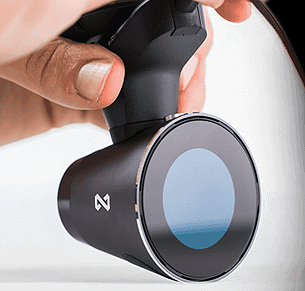 Waylens knows this, which is why their new dash cam is truly one of a kind. With a futuristic design and a multitude of unique features, the Horizon HD is an interesting camera indeed. It was first featured on the startup funding website KickStarter with much success. 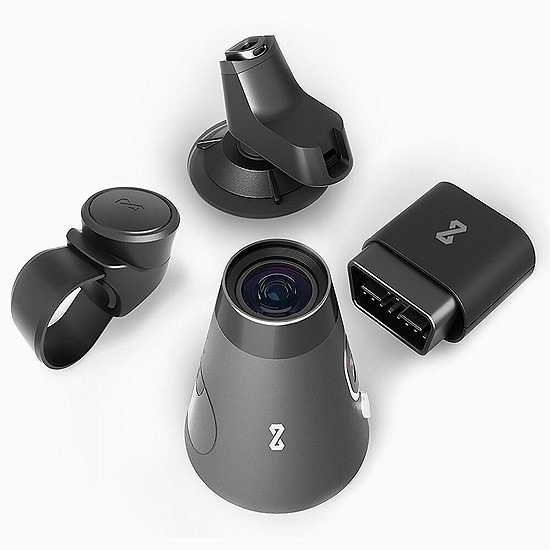 It was described as “A Data Driven Automotive Camera System”. What is immediately noticeable is the unique and futuristic design of the camera. Instead of a more traditional rectangular or wedge shape, the Horizon HD has a conical shell formed in such a way that it leaves just enough room to house all of the components. The body is made entirely of aluminum, which gives the camera a much more premium look and feel while adding to the durability. There’s no microSD card included so you’ll have to pick one up. While you can lower the quality of the videos in the settings menu, you’ll benefit from buying a card with at least 64GB (class 10) of storage to avoid having to transfer recordings as often if you plan on saving them. If you only want to use this dashcam in the case of an emergency, a 16gb card is big enough (it loop records, overwriting old video files and keeping the newest ones). The front is home to nothing but the sensor, extending outwards to the opposite side where the unique round display is. The sides feature nothing but the company’s logo, flanked by a mount up top and a hardware interface down below to get everything working. Overall, the clean, minimal design is appreciable and the matte black paint job helps keep things stealthy to prevent car break-ins. One thing that immediately stands out with Waylens’ dash cam is the round display found on the opposite side of the sensor. The unique OLED panel is reminiscent of those found on Android smartwatches. Even the user interface focuses on curved lines that take full advantage of the odd shape. What’s great is that unlike some other round displays, this one is a perfect circle and doesn’t feature any sort of notch. The round screen also functions as a touch screen, allowing you to alter a variety of different settings and features. The dark theme is continued with the display thanks to OLED technology, which negates any of the gray hue and backlight leakage you’d often find on lower end panels. As a result, the colorful elements that display information pop and are clear even in the darkest conditions. This also gives it much wider viewing angles, up to 157 degrees. You can select from a variety of overlays for the display by using the included remote, which also lets you scrub through your recordings straight from the camera itself. With a 10 000:1 contrast ratio and 286 pixels per inch, this is one of the sharpest screens ever made for a dash cam. The Horizon HD’s display is a masterclass in ingenuity and a large step forward in dash cam design. The camera found upfront is no slouch either. The custom CMOS sensor is capable of recording 1080p video at 60fps, as well as slo-mo footage in 720p at 120fps. It also packs an impressive f/2.4 aperture under seven layers of glass. This sensor is custom made to accommodate for bumps and high speeds that would otherwise render blurry or shaky footage. High Dynamic Range comes standard and is processed by an Ambrella CPU chip. The 1GHz Cortex A9 processor is capable of rendering all 318 megapixels fed into the camera every second while also running the former mentioned OLED display. The Horizon HD also processes a good deal of other information as well. 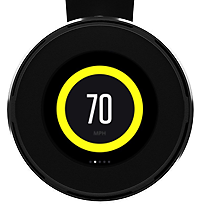 The 10Hz GPS system will track your movements down to your position when taking sharp corners. The barometer will give a better idea of conditions while the 9-axis inertial motion sensor tracks the movement and orientation of your car. There are also dual microphones built into the camera that are capable of producing stereo audio, as well as removing some background noise. All these statistics can be viewed on the fly with the built in display or with the official app. Waylens’ mobile app takes things even further with a multitude of impressive features. It will highlight the most important moments of your recordings based on your selection along with the built in algorithms. You can also define data-driven parameters to perform searches on your footage and find certain scenes. The app also allows you to select which overlays you want featured in videos. These display the statistics the camera recorded, from speed to lap times. The Waylens app is seriously impressive and neatly designed to go along with the UI of the camera’s display. 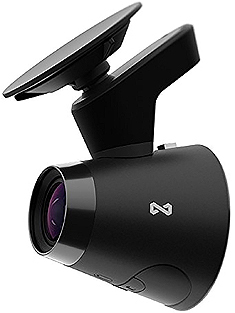 At this point, its clear that Waylens has designed the Horizon HD for more than just your average driver wanting a dash cam in the case of an accident or event. There are numerous other tricks the camera and app can do that further aid people that goes beyond street use. The LapTimer feature lets you select the starting point of the track or road by utilizing GPS coordinates. This way the camera will automatically advance to the next lap and record your best lap times. There is also a Waylens online community hub and message board where you can share your performance statistics and get your results ranked on the leaderboards. To use these features you’ll need to download Waylens’ apps on your smartphone or PC/Mac. You can connect the camera via Bluetooth or WiFi. Most of the statistical information is recored on the included OBD-II transmitter, which needs to be plugged in and connected via Bluetooth to work. The camera can also connect to your smartphone via a cellular network if you’re on the go. Included in the box is a car mount, literature, cable holders, a transmitter, remote control and the necessary cables, as well as the camera itself. 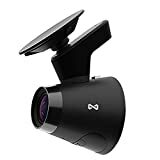 Unlike some other dash cams, the Horizon HD is essentially a single unit, complimented only by the mounts and cables necessary to get the camera attached to your windshield or roof. The Waylens Horizon HD brings a great deal of unique features to the table without being gimmicky. The premium, minimal design is consistent throughout the build of the camera and the integration across different devices with the Waylens apps makes dealing with footage a lot easier. The Horizon HD is a considerable choice for both casual commuters and racing drivers alike.